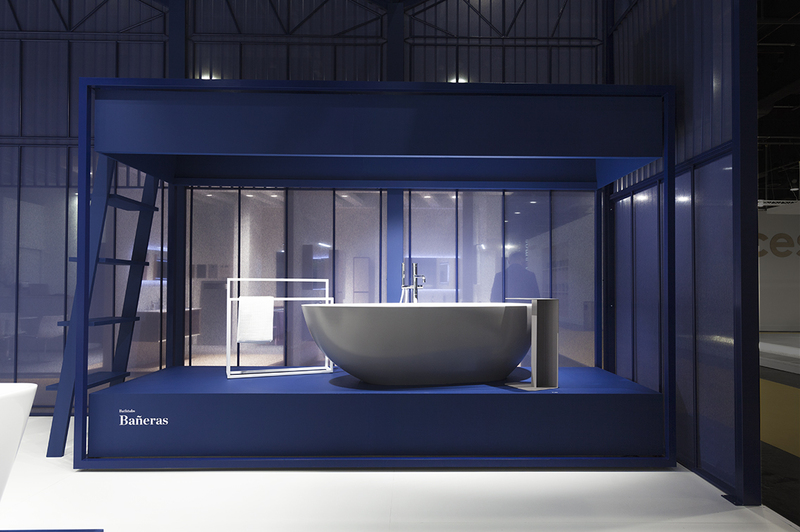 After working on a full rebranding of the bathroom equipment company Baños 10 (b10 now), this past Cevisama 2017 was the first time we could showcase the visual identity we developed at its fullest. 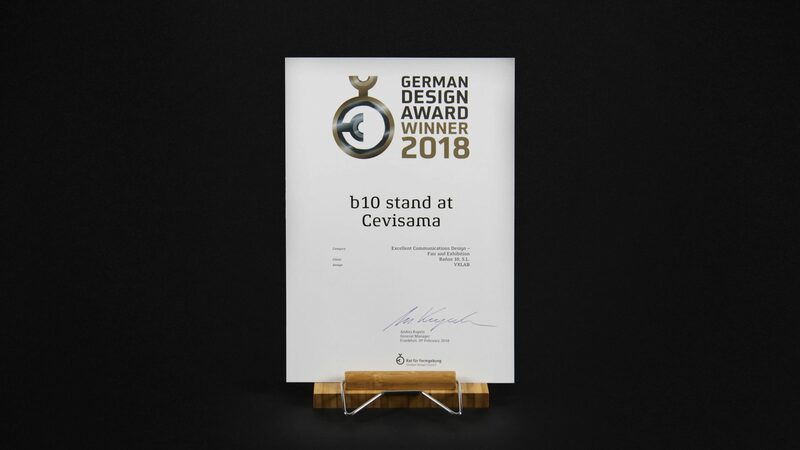 Based on the new b10’s graphic environment we created their stand design with a minimal, aseptic and modern-industrial aesthetic. 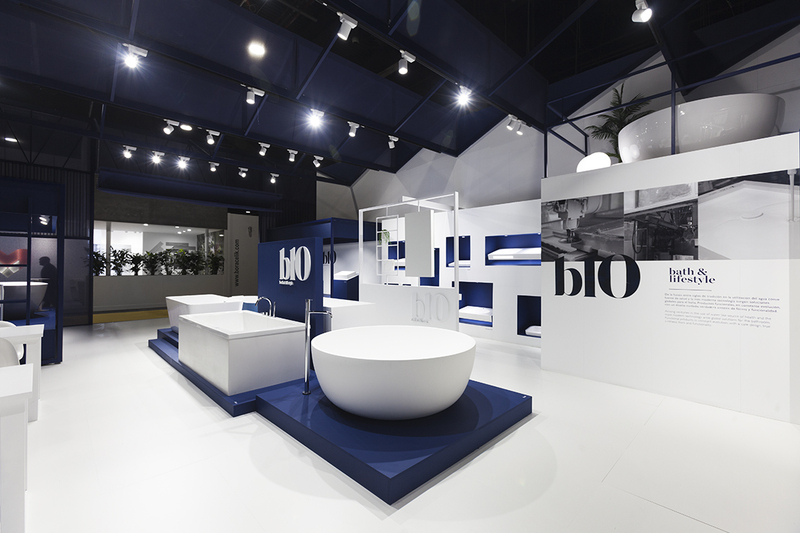 To highlight their industrial character was one of the premises for the design and conception of the space because Baños 10 (b10) is currently one of the few bathroom equipment companies in the region that maintains their production line. 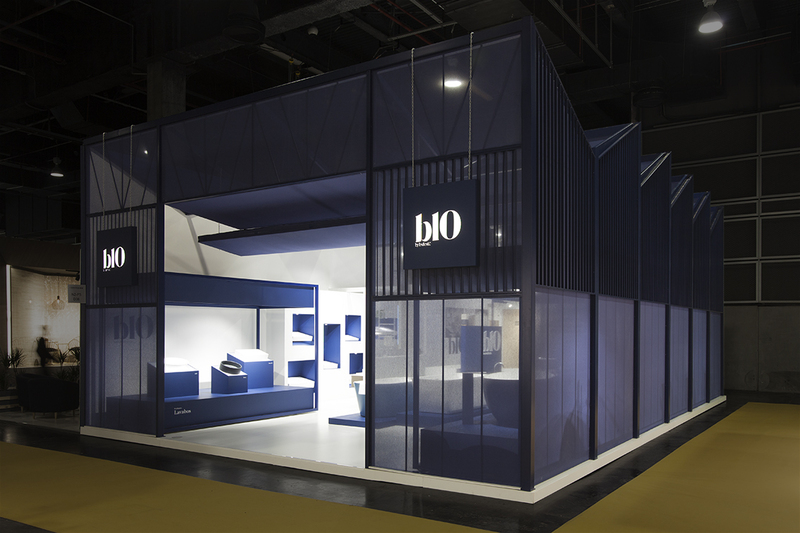 Inspired on the work of the Korean sculptor Do Ho Suh, the stand we designed creates the fiction of a factory. 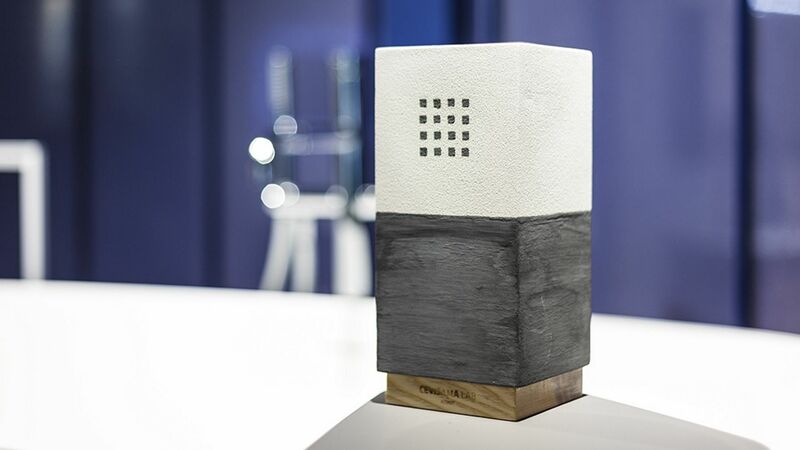 Through a rod module system lately covered with fabric, the exterior walls sketch in the air the facade of an iconic factory. 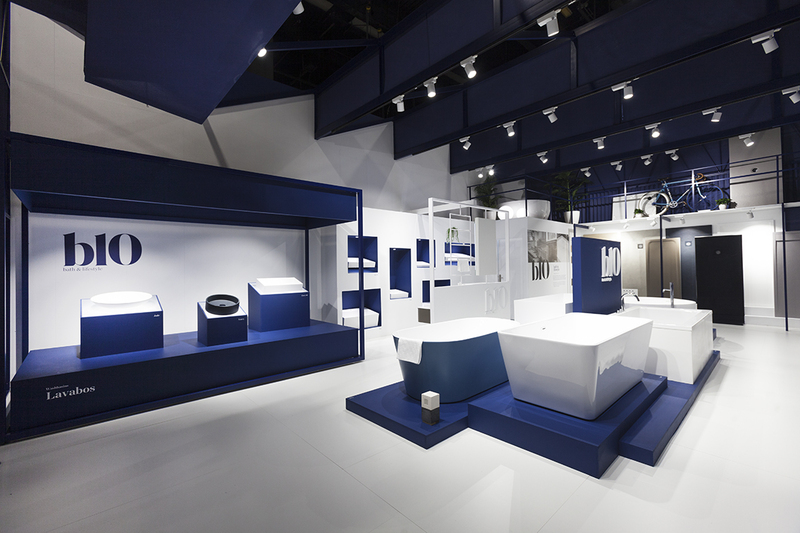 This system, died in the corporate indigo blue, contrasts with clean white of the walls and floors inside. 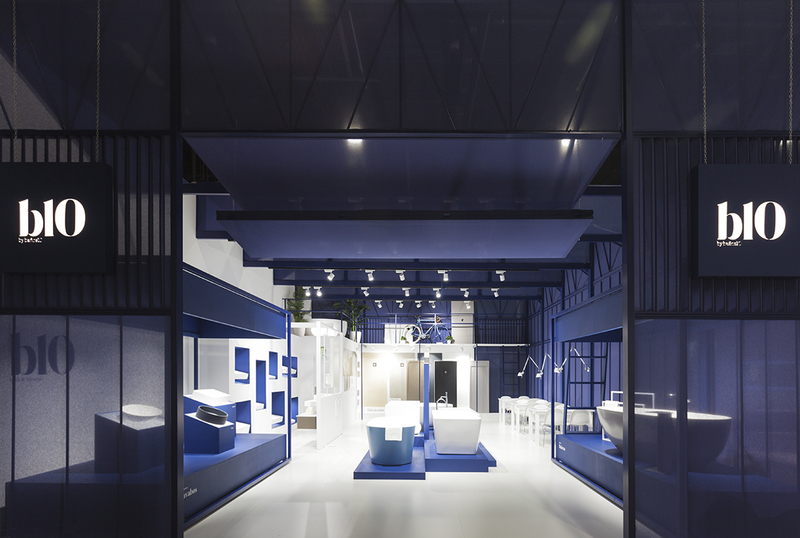 Both the ceiling and the footbridge maintains the style of a fiction factory.